I am giving this along with a thank you scroll for my parents 50th anniversary dinner. 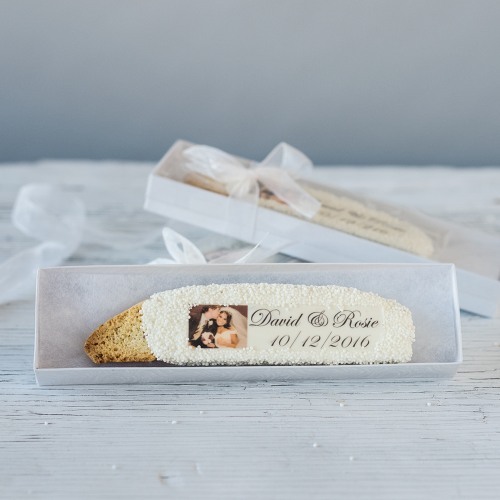 I had their original wedding picture and date put on the biscotti. It looks fabulous and the shipping was perfect. Not one broken cookie!!!! They were for a bridal shower favor and everyone raved over them. Beautiful & Elegant Touch to My Wedding! All of my guests were impressed with the uniqueness and beauty of the biscotti. It was a big hit!!! If only i saw these when i was getting married...i used these for my parent's 30th anniversary party and people loved them...they were elegantly packaged and tasted great! 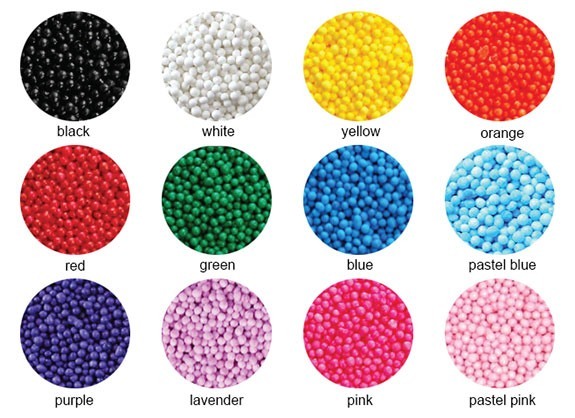 I PURCHASED THIS PRODUCT FOR ONE OF MY SISTER'S WEDDING FAVORS. I OPTED NOT TO USE THE PHOTO, SO THE ART DEPARTMENT MADE THE LETTERING PROPORTIONATE TO THE BISCOTTI. THE BISCOTTI WAS ABSOLUTELY DELICIOUS. THE PRESENTATION WAS EXACTLY AS YOU SEE IT, WITH THE EXCEPTION OF THE BOW. IT APPEARED TO ME,THAT THE PERSON AFFIXING THE BOW, DID NOT TAKE THE PROPER AMOUNT OF TIME TO CUT THE EDGES PROPERLY. THEY WERE ALL FRAYED, AND I HAD TO RE-CUT ALL OF THEM SO IT LOOKED NEAT.[... ]I WILL DEFINITELY DO BUSINESS WITH BEAUCOUP AGAIN. 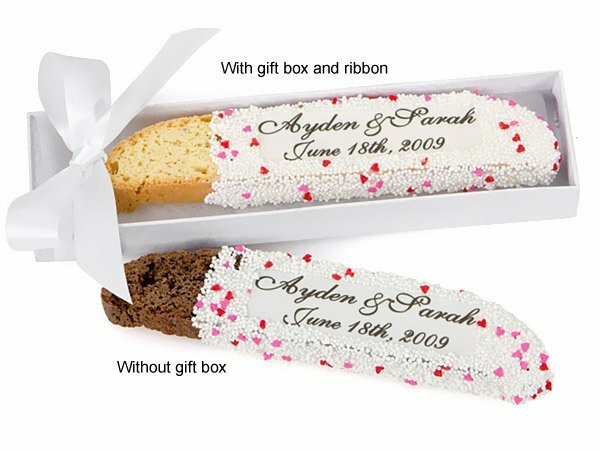 These personalized photo wedding biscotti favors are as close as you can get to edible elegance. Each delectable delight is hand-dipped in real Belgian white chocolate and printed with your photo and a special message. 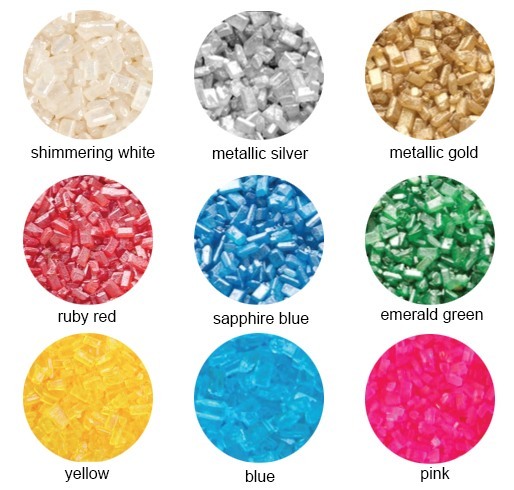 Perfect as wedding favors, bridal shower favors, engagement party favors and tea party favors. 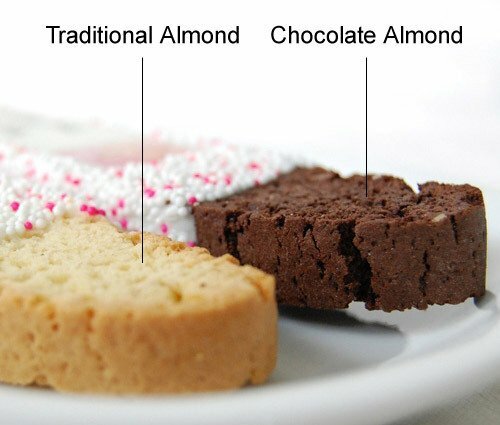 Biscotti are available in your choice of flavors: traditional almond or chocolate almond. Add the couple's names, wedding date or a special message up to 25 characters per line in the font style of your choice. You can even include a photo to the left of your message. 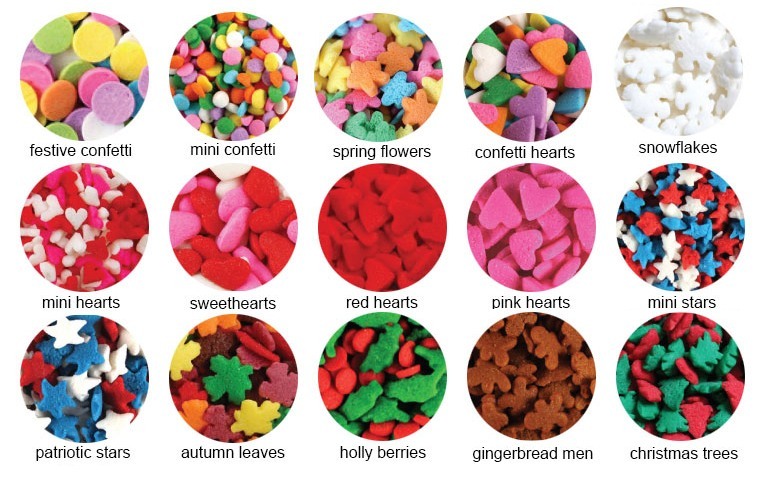 Then, top it all off with a sprinkling of your own custom-blended sprinkles. Believe it or not, the only non-edible element is the packaging! Each scrumptious biscotti biscuit comes individually wrapped to ensure freshness and measures approximately 6.75"L x 1.25"W x 0.5"H. For that extra touch of elegance, opt for a fancy two-piece gift box with a clear-view top and a matching bow. Gift box measures 8"L x 2"W x 1"H.
Before your guests bite into their biscotti, make sure they have a delicious hot or cold beverage for dipping. 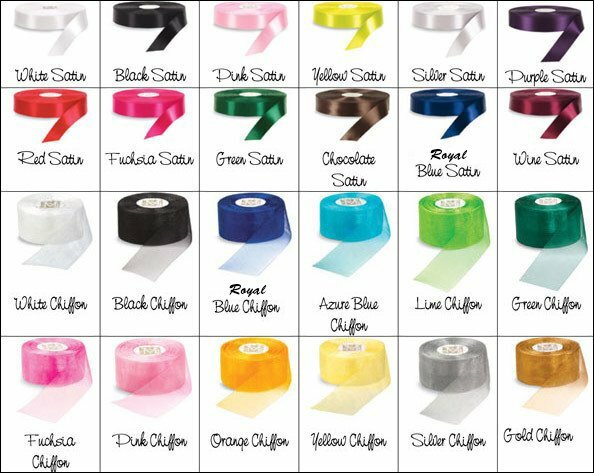 Our selection of coffee and tea favors are just right! Also, our custom fortune cookie favors are attractive alternatives.